14 years ago, I stumbled into the world of fitness as a women who simply “needed to get her pushups” in order to pass the physical fitness testing for the military. What I didn’t realize is that decision would change the course of my life and fitness forever! I served in the Canadian Armed Forces for 13 years before deciding to retire as a Sergeant; this life experience is like no other, I am thankful for every minute I spent in the Canadian Armed Forces. It has allowed me to be the confident person I am today. Shortly after I began working out and stumbled across my very first CrossFit gym, people started asking if I could help them too. 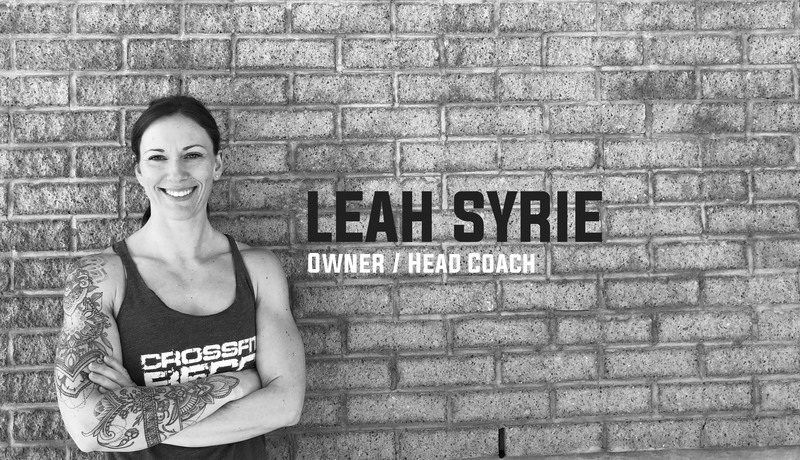 Before I knew it, I was a CrossFit Lvl 1 Trainer, which snowballed into owning a gym, co-hosting seminars and competitions. I have never felt so comfortable in my own skin in my whole entire life. CrossFit has taught me that it is not about what my “body looks like”, it’s the intensity, hard work and dedication that I take on each and every day in the gym that counts. I am stronger then I have ever been both mentally and physically, and love being a role model to my daughters in this ever-changing world. Lastly! The community that I have built being the owner of CrossFit BECC to this day is so rewarding for me. This never gets old, and I LOVE watching my CrossFit Family grow!